Quietly nestled in a somewhat forgotten region of the plains, the twin bell towers of the Immaculate Conception Catholic Church magnificently reach to the sky. 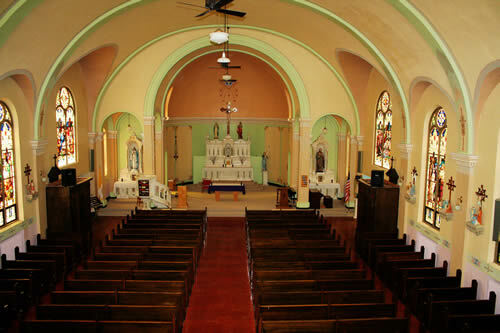 Among the miles of spacious fields and level horizon, the grand church proudly stands as a symbol of the hard work, determination and faith of the rural community of Leoville. Close your eyes. Imagine a traffic jam on a little dirt road. Three wide, you are heading into a corner at 90-plus miles per hour and slowing down is not an option. Suddenly, you are bumped from behind giving you that little push to get ahead of the two cars flanking you. The accelerator is slammed to the floor as the car straightens out of the turn; your heart is pounding as the crowd goes wild. It is no dream for Tracy Holloway of Osborne, driver for the #8 stock car. Walk downtown Osborne and it is hard to miss the giant Christmas displays in several of the store windows. But one window, in particular, catches the eye: B&B Jewelry and Gifts. The store recently celebrated their 15th anniversary this fall, and how they got to this point is just as interesting as the inventory that they carry. 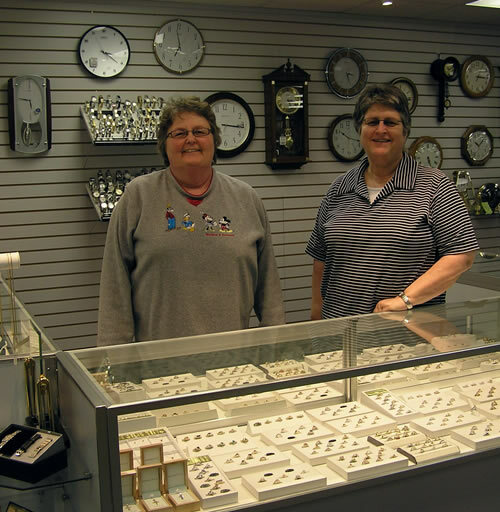 It has been said, “One man’s trash is another man’s treasure.” Never has this proven truer than for The Community Marketplace, a second-hand store in Osborne that also reflects the strength in inter-community cooperation. What is an alpaca and how did they end up in Osborne? Alpacas, as defined by Webster's Dictionary, are South American llamas. Its orgins can be traced back to the Inca Empire in South America. Throughout history, alpaca fleece was a means of measuring one's wealth. They finaly found their way to the United States in 1983. However, when in Kansas, people tend to think of cows and plows not alpacas. 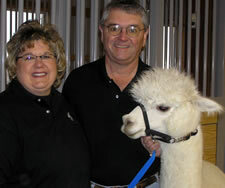 That may be the case in most instances, but for Mitch and Vickie Vandament alpacas fit right in. When entering the Twin Creek Farm driveway, it is hard not to feel welcome. Jerry and Sharon Rowe open their home to dogs and people alike for weeks on end. 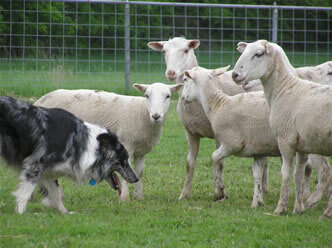 The Twin Creek Farm plays host to one of the premier loose-eyed dog training camps in the Nation and quite possibly the world. But you would not guess that from talking to them. Sally Brandon enjoys fiber. Not the dietary kind but the fiber art that produces items such as scarves, hats and sweaters. This love for fiber started back in 1988 when Brandon made a trip to Finland as a 4-H exchange student. “I learned to weave in the weaving cottages, where each little town had their cottage with weaving equipment set-up so everyone could weave whatever they wanted,” Brandon says. Have you ever noticed those “sad appearing” abandoned farm houses along country lanes? In many cases, these houses, once cherished homes, are victims of progress. Today’s farmers are farming more acres, so some lesser desirable age-old living quarters are no longer inhabited. 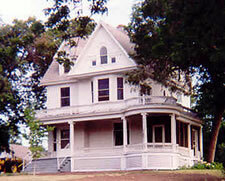 One abandoned home that has peaked my curiosity is located between Norton and Phillipsburg, Kansas. That house, built of native rock years ago, undoubtedly was someone’s dream house with its high ceilings, steep roof, and tall, narrow windows reflecting scenic views of a fertile valley. Now, all but a shell, it remains to remind us of those glorious days of settlement in Kansas when men labored in wheat fields, and women prepared food using iron cookstoves. My husband and I often travel Highway 36 to Norton, Kansas. On these trips, we are always anxious to learn more about Kansas history. 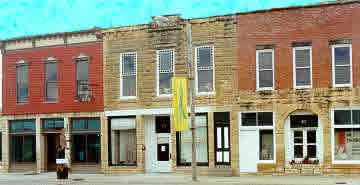 Recently, we discovered Fort Bissell at Phillipsburg, Kansas. There is a small segment of Kansas history at this location with the story of how and why this fort was established. Sit down for a chat with a top Madison Avenue marketing/advertising professional and it’s a good chance you’ll end up talking about image. Or in PR speak – brand image marketing. In a world where small towns are struggling to survive economically, image can mean the difference between lights out and issuing building permits. 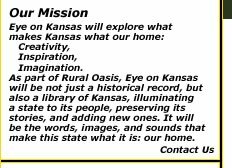 At least one small Kansas town is well aware of this and is building an artsy identity that is drawing newcomers. “When you gut an old house you always hope you’re going to find diamonds and gold,” said Bobbi Miles, director of economic development in Smith Center Kansas. Yet, although they have never found such gemstones or precious metals while renovating their old Victorian style home in Smith Center, Bobbi and her husband Bruce have arguably found value of another kind.